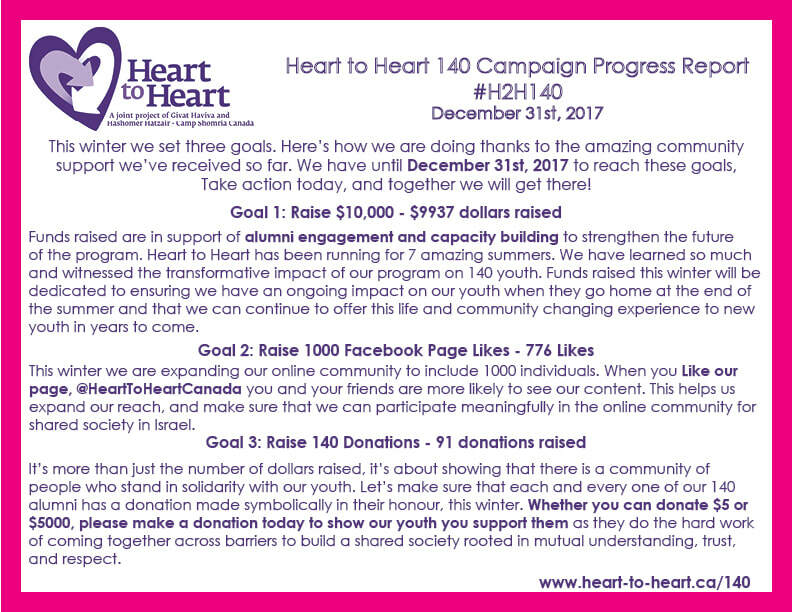 A huge thank you to everyone who donated to our #H2H140 campaign! Together you raised $16,611 this winter! 7 years of Heart to Heart. All funds raised until December 31st, 2017 will be used to support alumni engagement and to building capacity so that we can support the next 7 years of youth leadership for shared society. We hope you will make a donation of $140, one dollar for each of our alumni, so that together we can reach our goal of raising $10,000 by December 31st. But, it's more than just about the dollars raised. This winter we plan to raise 140 donations in honour of our 140 alumni. 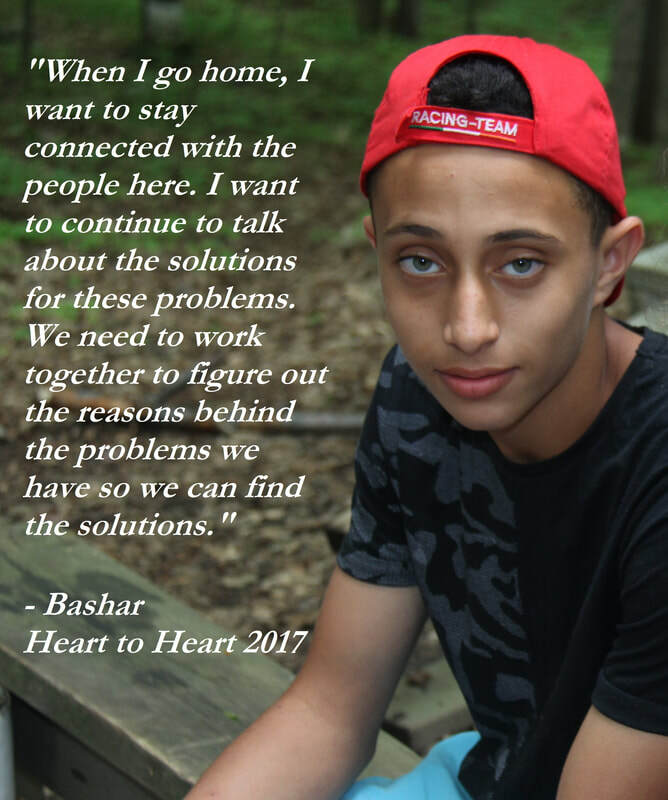 Whether you can give $5 or $5000, make your donation right now to show our youth that you stand with them in the mission of creating a shared society based on mutual understanding, trust, and respect. It's more than just the dollars raised. 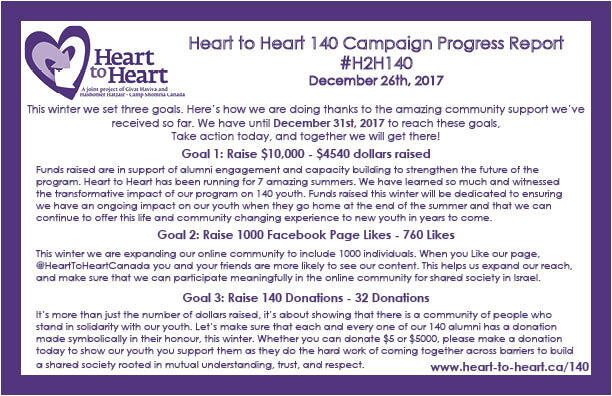 Help us reach our goal of 140 donations made!